Turkish Foreign Ministry has welcomed the U.S. State Department’s decision to put multi-million-dollar bounties on the heads of three senior members of the illegal PKK. 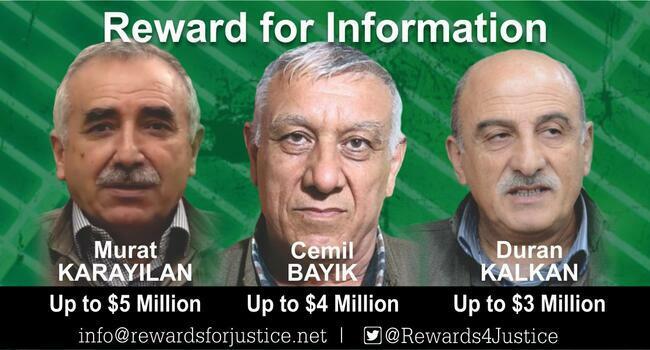 The United States said on Nov. 6 that it is offering up to $5 million for information leading to the identification or location of Murat Karayılan, Cemil Bayik or Duran Kalkan. The announcement followed U.S. Deputy Assistant Secretary of State Matthew Palmer’s official visit to the capital, Ankara.